What is the sound of motivation? Well, we do not have the answer to that, since – whether it is upbeat music, guitar riffs, mantras or inspiring speech – it is all relative. Yet, we know an active lifestyle requires motivation, and we also know that nothing sparks more of it than the contents of our iPods and MP3 players. And those, as any good runner knows, need a good pair of headphones. At first used only by telephone and radio operators, headphones have evolved enormously since their origination in early 1900s. Two loudspeakers connected with a band or with a cable allow their user to listen to an audio source in private. This caused that headphones have been embraced by sports enthusiasts all around the world. 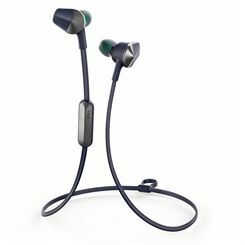 Therefore, as the success of any workout relies largely on the music you listen to, it is crucial to be able to enjoy the best sound quality around along with a long-term comfort. 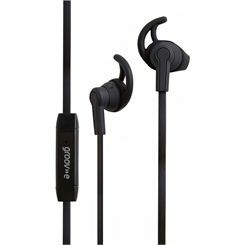 Just like with shoes, headphones are divided into casual-use ones, those designed to look good and sports ones created with performance and security in mind. 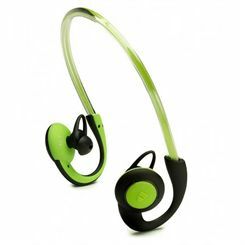 And the same as with running trainers, there are various sports headphones that provide various experience to various runners. The general division includes: supra-aural headphones featuring pads that press against the ears; bigger and heavier circumaural headphones with earpads completely encompassing the ears to block out external noise; miniature yet prone to falling out earphones or earbuds that fit directly in the outer ear but allow ambient noise to leak in; and there are also small in-ear headphones inserted into the ear canal and preferred by audiophiles due to their secure fit and attenuation of surrounding noises. 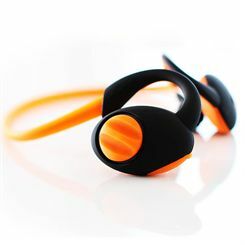 Plus, increasingly more headphones use infrared or radio signals like Bluetooth and, hence, are cordless and allow you to take and make calls. Some of our headgear even boast the latest bone conduction open ear technology, which makes for a healthier and safer listening experience. Portability, sound quality, ambient noise, ear comfort – these are all to be dealt with when choosing your musical headgear. Once you put your favourite music on, you are ready to get more out of your workout, and it is your choice whether you like to hear only the music or your heavy sighs and jangling weights as well. Choose a pair for you and make your own training soundtrack.